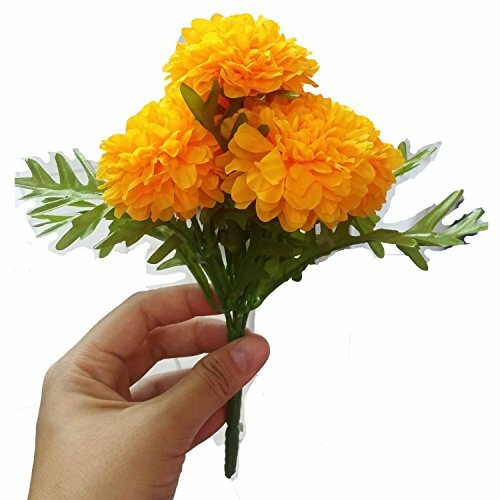 GoodGoodsThailand (Pack of 2), Thai Artificial Yellow Marigold Bunch, Artificial flowers, Marigold Flowers, Yellow Flower, Marigold Yellow, Calendula officials by GoodGoodsThailand at Thai City Deals. MPN: CA001. Hurry! Limited time offer. Offer valid only while supplies last. If you have any questions about this product by GoodGoodsThailand, contact us by completing and submitting the form below. If you are looking for a specif part number, please include it with your message. Thai Artificial Yellow Marigold Bunch, Artificial flowers, Marigold flower, Yellow Flowers, Marigold Yellow, By Jakapan.